Everyone has unique personality traits that can either serve them well or that can make their life a little more difficult. 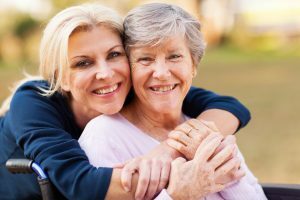 When you’re a family caregiver, these three traits in particular can really give you some extra trouble. You don’t have to get rid of them, especially since they’re a part of you, but you can learn to work around them. When you’re all about perfection, you might find that you’re consistently disappointed. It’s tough to hit the mark when nothing is ever good enough. The problem is that life isn’t perfect. Something is always going to mess up your perfect plans and your loved one’s health is likely to throw a wrench in the works now and again. So what can you do? You don’t have to change yourself, necessarily, but you do need to remind yourself that perfection is a goal that you may not hit every time. And that’s okay. Someone who is a control freak normally has to have their hand in everything. What happens, however, is that there’s just so much to handle as a family caregiver. If you persist in trying to handle everything on your own all the time, you’re going to exhaust yourself. Learn to delegate. Learn to hand things off to other people, such as other family members and elderly care providers. You don’t have to be the only person who handles tasks for your loved one. Pessimism can keep you seeing the worst of every situation, even when that’s not the reality of the situation. From a certain perspective, pessimism can help to prepare you for the worst case scenario. But like every personality trait, there’s another side to the story. Pessimism can also keep you from seeing the good in even a bad situation. Start practicing spotting the good in situations. Journaling can help with this. When you write in your journal, list out the situation and for every negative issue that you can spot, come up with a positive as well. You may start to see the positive more often. Once you know and understand your personality traits, you can take steps to compensate for them. If you or an aging loved one are considering elderly care in Colts Neck, NJ, please contact the caring staff at Lares Home Care 888-492-3538 or 732-566-1112.